Muslims prayer times is a perfect online platform to get the accurate Islamic prayer timetable of 5 Muslim prayers. Inside this website, we will provide you complete details about the Islamic prayer timings of different countries including USA, Canada, Australia, France, New Zealand, UK, UAE, Saudi Arabia, Pakistan, India, South Africa, Turkey, Singapore and many more other countries of the world. As the Muslims live in almost every country of the world so they need to have such a perfect and easy platform that can help them to find out the correct prayer timings of all the daily five obligatory prayers. What time do Muslims pray is also a big question for the Muslims who are living in a non-Islamic country. They feel much trouble especially when they are living far away from the Mosques area. Muslims Prayer Times online website presents the answer of this typical question in a very easy way. You can find out any prayer time of your desired prayer by visiting the country-specific web pages of this website while living anywhere in the world. While living in the Era of computer and technology you can very easily find out the online prayer times of all five prayers. The prayer timings of every country are different from each other due to different time zones. Many states and cities of a single country have different time zones, therefore, the Islamic prayer time schedule for daily prayer times will be different from other states of the country. Prayer is the second most important pillar of Islam after Faith. Five times prayer is obligatory for every Muslim of the world in any situation. 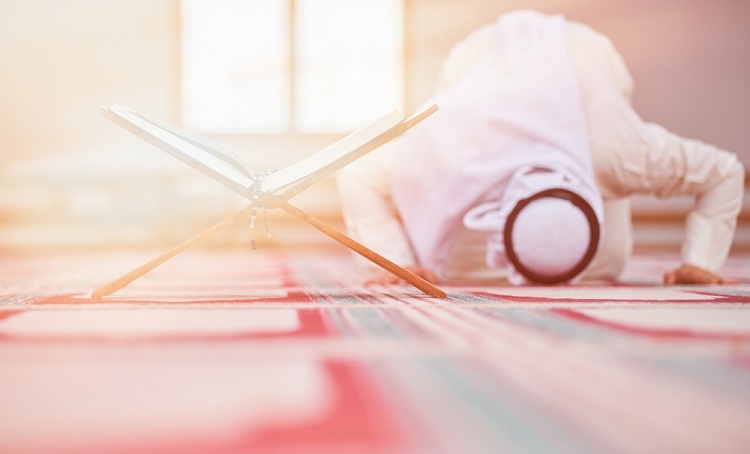 In Islam, prayers are performed five times in a day including Fajr, Dhuhr, Asr, Maghrib, and Isha. Every prayer has a specific time frame and every Muslim is bound to pray on time. Prayer is a way to bring great purification into the heart and soul of the Muslims and make their relationship much stronger and closer to God. Well, it is a common fact that the world prayer time is very much different from each other due to the movement of the sun. If you are living in the international countries then the most major problem is prayer timings schedule of daily five-time obligatory prayers and Qibla direction. As prayer timings of all the countries are so much different from each other that sometimes you cannot understand it even after living so many months there. It is very hard and difficult especially for all those people who do take prayer performing as an important part of their life. This is the main reason that they are always looking for the websites which can provide them with the complete details about the prayer timings. But now this is not a big issue while having Muslims prayer times schedule guide website. Muslims Prayer Times website provides prayer timings, Salah timings and namaz timings to the Muslims living all over the world in a unique way. Getting accurate prayer time schedule to offer prayer, salat or namaz is a basic need for every true Muslim. In this special portion of the Muslim Prayer Times category our primary focus is on providing the exact and accurate prayer timings of various international cities like Orlando, Perth, Port Elizabeth, Ankara, Brisbane, New York, Sydney, Tampa, Houston, Boston, Toronto, Melbourne, Auckland, Berlin, Cairo, Makkah, Madina, Dammam, Riyadh, Lahore, Karachi, Islamabad, Dehli and much more cities from the entire world. Also, find much more Islamic stuff along with Qibla direction from any geographical location on the globe. Secondly, we are trying our best to provide other information on different Islamic events, Islamic historical places and other Islamic topics to our readers. Plus as we all know that Ramadan is the most important month of the Islamic calendar so we will update the details about this month as well. Iftar and Sehri timetable of all the Muslim countries will soon be updated right on this website in its Ramadan Kareem portion. We will also update the Ramadan Calendar of different countries along with Ramadan prayer times in a unique way. A specific portion will be devoted for the Islamic Events including Ramadan Kareem, Eid Mubarak, Eid Wishes, Eid celebrations, Eid greetings, Islamic events, Islamic topics and much more. Now here’s the point when your job starts! You can visit this website to stay updated with daily prayer timings of your choice. You can also grab some more details about Islamic events, Islamic topics, and Ramadan details! 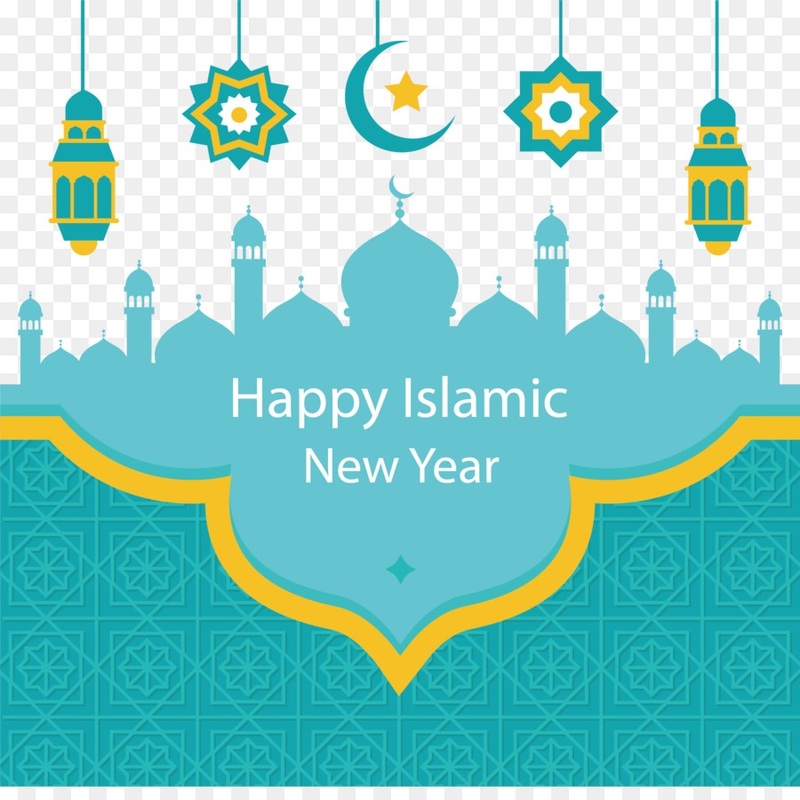 The Islamic New Year 2018 or Islamic New Hijri Year 1440 is observed on the very first day of Muharram 2018 which is also the first month of the Islamic Lunar Calendar. 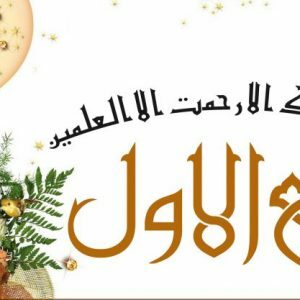 The Islamic New Year 2018 is also known as Arabic New Year 1440 or Hijri New Year 1440 or Islamic New Hijri Year 1440 or Hijra. 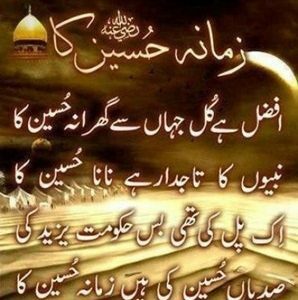 Muharram is one of the holiest months of Islam. Muslims use Islamic Calendar which is also called the Lunar Calendar. The history tells us that the first Islamic Year begins in 622 AD when the Holy Prophet Muhammad (PBUH) migrated from Mecca to Medina. 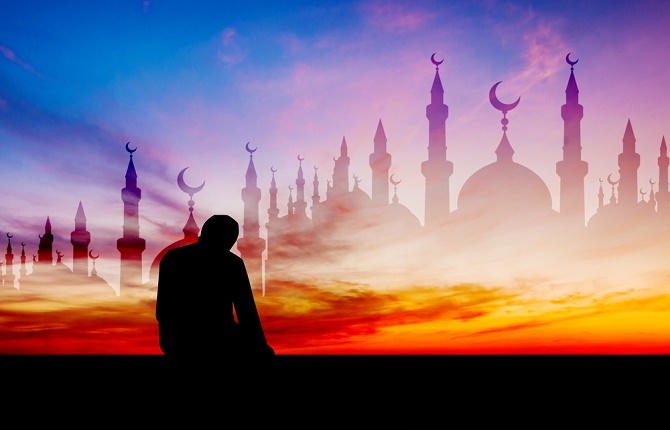 In Islam, all the religious duties, including prayer, fasting in Ramadan, pilgrimage, and other Islamic events dates are observed according to the lunar calendar. The Islamic New Year 2018 or Islamic New Hijri Year 1440 will begin on 11th September 2018 on Tuesday in the Middle East, European countries and 1st Muharram 2018 will be observed on Wednesday 12th September 2018 in Pakistan, India and other Asian countries. These dates can vary because the actual sighting of the moon varies from country to country. 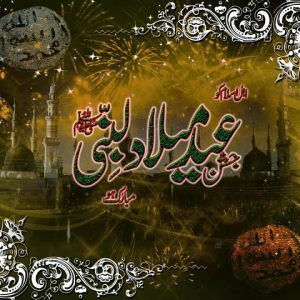 As the Islamic Calendar started with Muharram which has great significance in Islamic history and also many historic events are associated with this month. I wish you the “ISLAMIC YEAR”. 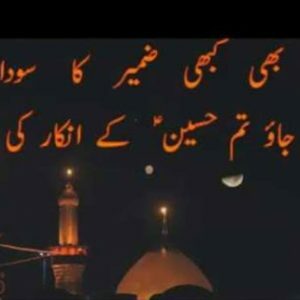 Let us remember Muharram ul Haram, the month worthy of reverence, and Ashura, and also remember Karbala with sorrow. 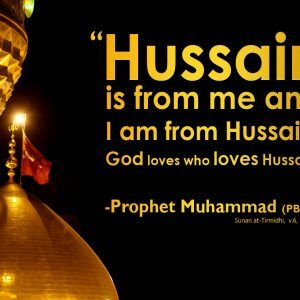 Let us remember Hussain, the highest of martyrs, the lord of paradise youth. Let us send our greetings and regards to Allah’s Messenger, and his family. Gratitude to Allah for all the blessings that He has bestowed, health and sustenance, and blessed the Prophet Muhammad, his family, friends and followers. In this new year, we are grateful for all the blessings and gifts that God has given in the previous year so that the blessing will increase and not be revoked. Happy Islamic New Year 1440 Hijri!!! May Peace fill all the empty spaces around us. May Happiness answers all our good wishes this year. Today is 1st Muharram 1440H, May Allah accept our deeds in d past n yrs ahead. Happy Islamic New Year to all Muslims in the world. 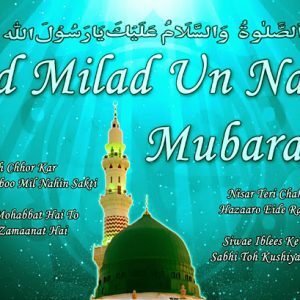 Muslims will celebrate Eid-e-Milad un Nabi 2018 on Wednesday, the 21st of November 2018. The date can vary because the actual date depends on the sighting of the moon according to the Islamic belief. 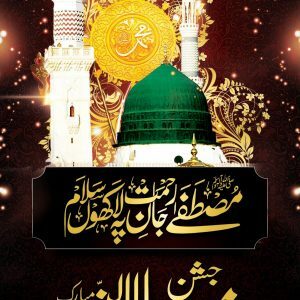 Milad un Nabi/Mawlid is the birthday of the holy prophet Muhammad (PBUH). 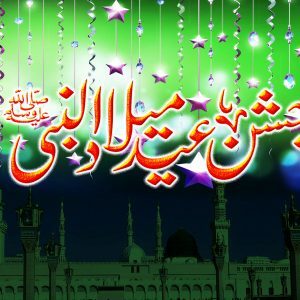 According to the Islamic Lunar Calendar, this day is celebrated in the month of Rabi Ul Awal. Muslims celebrate this day with full religious passion. Special Muslims gathering comes into seen in Mosques, public places, homes, schools, colleges, universities and TV on the Eid-e-Milad un Nabi. People illuminate buildings, streets, roads, and mosques on the occasion of Eid Milad un Nabi. 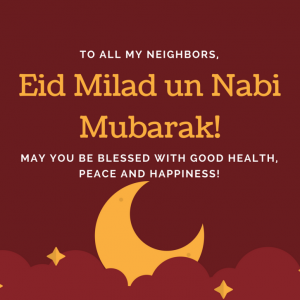 Muslim people also use social media sites and send Eid Milad-un-Nabi Wishes 2018, Eid Milad-un-Nabi Quotes 2018, Eid Milad-un-Nabi SMS Messages 2018, Eid Milad-un-Nabi Facebook WhatsApp Status 2018, and Eid Milad-un-Nabi Images Wallpapers 2018 and Eid Milad un Nabi videos to their families and friends. Sunni community celebrates this day on the 12th Rabi’ al-awwal, while the Shi’a community celebrates this day on the 17th of this month. 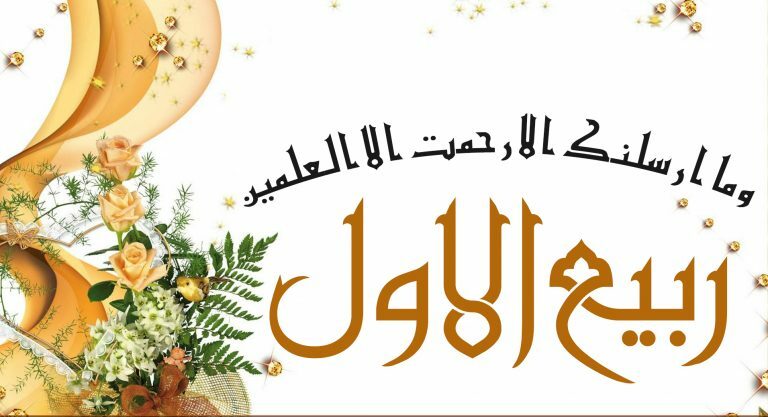 It is the time to remember to celebrate to be proud wish you many joyous moments of Mawlid al-Nabi and always! Musibat me gero ke kaam ane wala Wo apne parae ka gham khaane wala”. ““May ALLAH This Eid Milad-un-Nabi Flood…. Of all the days to celebrate, may this Eid Milad-Un-Nabi outshines the rest; hoping that this Eid is the happiest and best. Warm greetings of Eid! 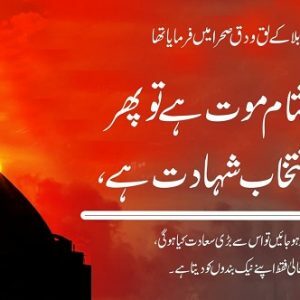 Aalam Ne Rang Badal Subha Shabb-e-Wiladat…!!! Ramadan is the 9th month of the Lunar Islamic Calendar and also is the most awaited month among all Islamic months. Muslims celebrate this month with full religious devotion and passion. This year the holy month of Allah will start on the 17th of May 2018 and will end on 14th June 2018 worldwide. 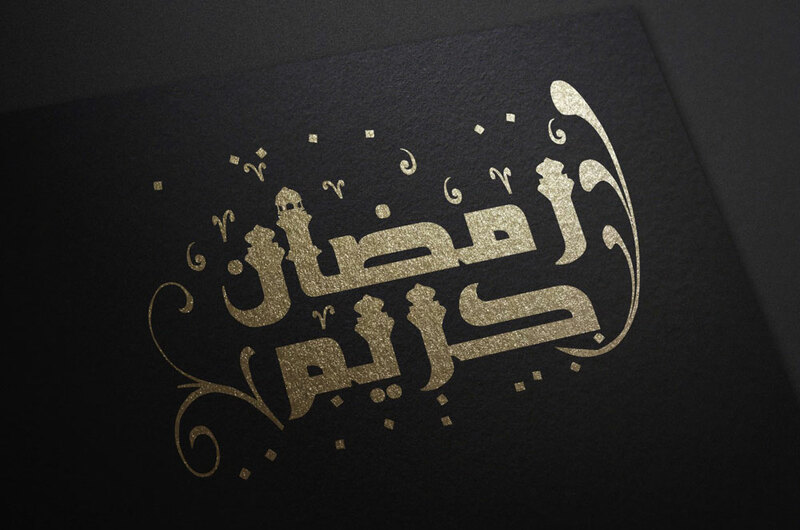 In the category of Ramadan Kareem, you will find out the best Ramadan Mubarak Wishes, Ramadan Mubarak Quotes, Ramadan Mubarak Poems, Ramadan Mubarak Greetings, Ramadan Mubarak Wallpapers, Ramadan Mubarak Images, Ramadan Mubarak SMS Messages, Ramadan Kareem Greeting Cards, and Ramadan Mubarak Status. Ramadan is a holy month dedicated to prayer, Quran recitation, introspection and fasting during the sunlight hours. Righteousness Remains The Rock Of Faith. we are waiting for your moon. May the day delight and the moments measure all the special joys for all of you to treasure. May the year ahead be fruitful too, for your home and family and especially for you. May your plate of life be always full of juicy kebabs and tikkas, Topped with the chutney of Happiness. With best Eid wishes, Happy Ramadan Mubarak! >>>> Ramadan is that the month of blessings…. May You Always Be Blessed With The Love And Protection Of Allah. Wish You A Happy Ramadan!!!!!! wishing that Allah forgive us for our wrongdoings. It’s a continuous training to strengthen our Imaan. This blessed month, the month of spiritual rhapsody! Ya Allah! For thee, my life I shall live! Ya Allah! For thee, my soul I shall give! The night of power comes in the last ashra of Ramadan which also indicates the end of Ramadan and coming of Eid-ul Fitr. Alwida To The Month Of Protection Against Fire. Alwida To The Month Of Patience. Open for me the doors to everything good ..
& the doors to JANNAH ! Eid is basically a Muslim festival and this event comes twice in a year. Muslims celebrate Eid Al Fitr after the end of the holy month of Ramadan and Eid Al Adha after Hajj every year. On both occasions, Muslims greet each other by saying, “Eid Mubarak”. On the day of Eid-ul-Fitr Muslims thank Allah for having given them the will, the strength, and the endurance to observe fast and obey his commandment during the holy month of Ramadhan while on the day of Eid-ul-Adha Muslims perform animal sacrifice and thank Allah for giving this opportunity. 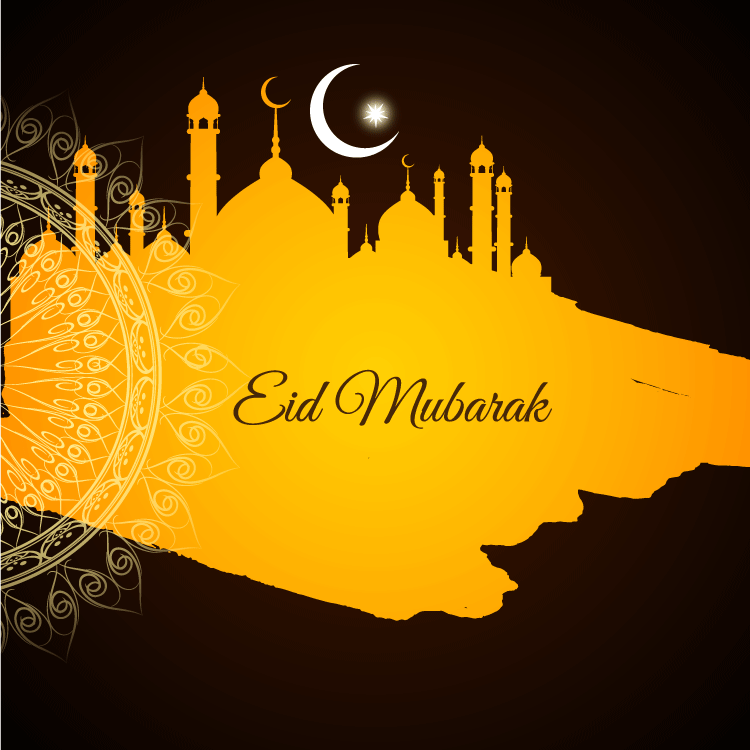 In the category of Eid Mubarak, you will find out the best Eid Mubarak Wishes, Eid Mubarak Quotes, Eid Mubarak Poems, Eid Mubarak Greetings, Eid Mubarak Wallpapers, Eid Mubarak Images, Eid Mubarak SMS Messages, Eid Mubarak Greeting Cards, and Eid Mubarak Status and much more. This Year And In The Years To Come. Tonight is Chand Raat which means Night of the Moon. No shadows to depress you. Only joys to surround you. Allah himself to bless you. These are my wishes for you. Recently tomorrow and every day… Eid Al Adha Mubarak! Neither the flesh nor the blood of your sacrifices reaches God, but it is the righteous motive underlying them that reaches him. May God send his love like sunshine in his warm and gentle ways to fill every corner of your heart and filled your life with a lot of happiness like Eid Day. We are just providing the prayer times and other Islamic events information along with other topics on this website. If you find or feel any kind of mistake in our published material regarding Islamic prayer timings or Islamic topics; please let us know in the comments section so that we can correct the information accordingly.